Why come to the Integrated Quality Certification Service? Discover the IQC Advantage! We have a wealth of knowledge and resources to tap into. We have a company vision to develop our knowledge partnership and network. With coordinating offices in Australia, take advantage of our wide range of professional skills experienced in the industrial field. Let us share our knowledge of assessment and accreditation to help you. Get the value added audit you need and start improving upon your organisation’s processes and procedures. 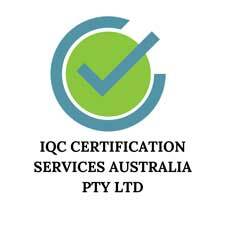 Leave your customers happier than ever and comply with industry and legislative standards with a cost-effective, value adding certification service from IQC.